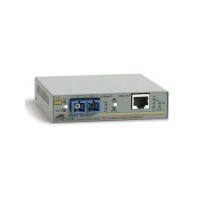 TX to FX Fast Ethernet media converter with multi-mode ST fiber connectors. Distance up to 2km. Auto MDI/MDI-X. Half- and full-duplex operation. Wallmountable, Rackmountable using optional chassis. 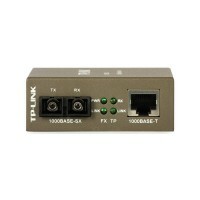 TX to FX Fast Ethernet media converter with single-mode SC fiber connectors. Distance up to 15km. Auto MDI/MDI-X. Half- and full-duplex operation. Wallmountable, Rackmountable using optional chassis. 10/100Mbps Multi-Mode Media Converter. 1 * 100M SC/UPC port. 1 * 100M RJ45 port (Auto MDI/MDIX). Extends fiber distance up to 2km. 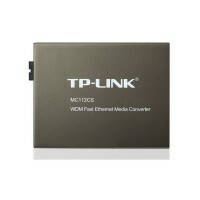 10/100Mbps Single-Mode Media Converter. 1 * 100M SC/UPC port. 1 * 100M RJ45 port (Auto MDI/MDIX). 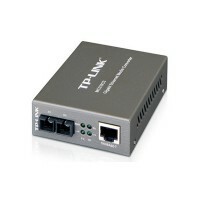 Extends fiber distance up to 20km. 10/100Mbps WDM Media Converter. 1 * 100M SC/UPC port. 1 * 100M RJ45 port (Auto MDI/MDIX). Tx:1550nm, Rx:1310nm. 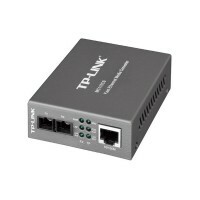 Extends fiber distance up to 20km. 10/100Mbps WDM Media Converter. 1 * 100M SC/UPC port. 1 * 100M RJ45 port (Auto MDI/MDIX). Tx:1310nm, Rx:1550nm. Extends fiber distance up to 20km. Gigabit Multi-Mode Media Converter. 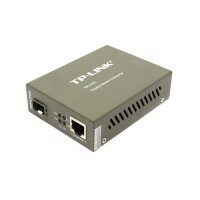 1 * 1000M SC/UPC port. 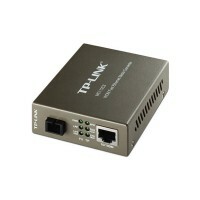 1 * 1000M RJ45 port (Auto MDI/MDIX). Extends fiber distance up to 0,5km. Gigabit Single-Mode Media Converter. 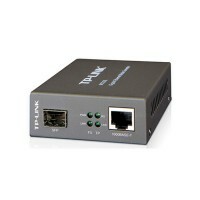 1 * 1000M SC/UPC port. 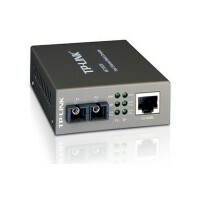 1 * 1000M RJ45 port (Auto MDI/MDIX). 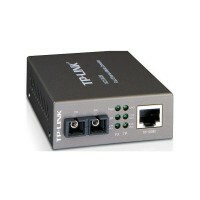 Extends fiber distance up to 15km. Gigabit SFP Media Converter. 1 * Gigabit SFP port. 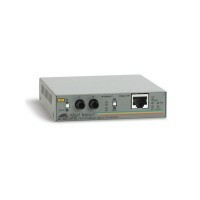 1 * 1000M RJ45 port (Auto MDI/MDIX). 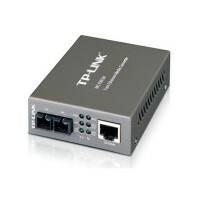 Extends fiber distance up to 0,55km (multi-mode), 10km (single-mode).